Let’s Encrypt is an initiative to give https support to as many sites as possible by providing free ssl certificates and making implementation easier. However, most tools for this are only available from the command line. 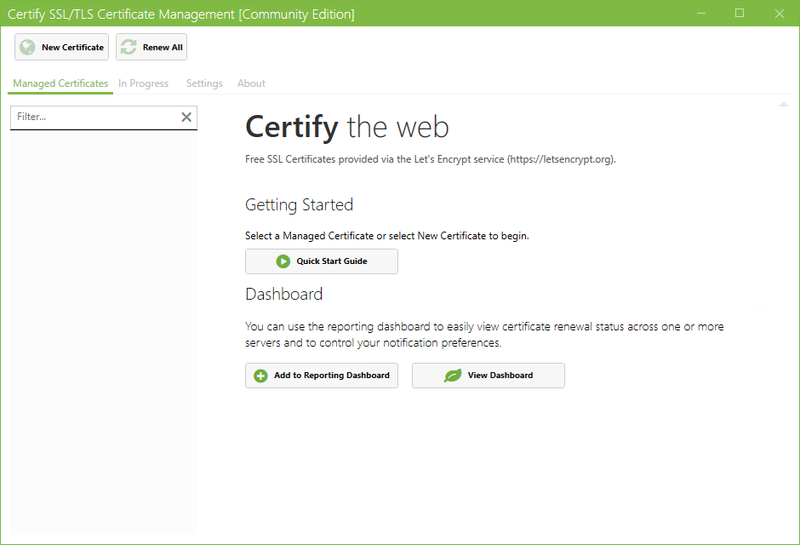 Certify SSL Manager provides a graphical interface for requesting and managing these certificates on Windows Servers with IIS. The developers have released two new versions in quick succession, each of which solves a small problem. Fix: Microsoft.Management.Infrastructure exception on Server 2008 R2. Users on older versions of windows are advised to have the latest version of the Windows Management Framework installed unless they have compatibility requirements that prevent that.